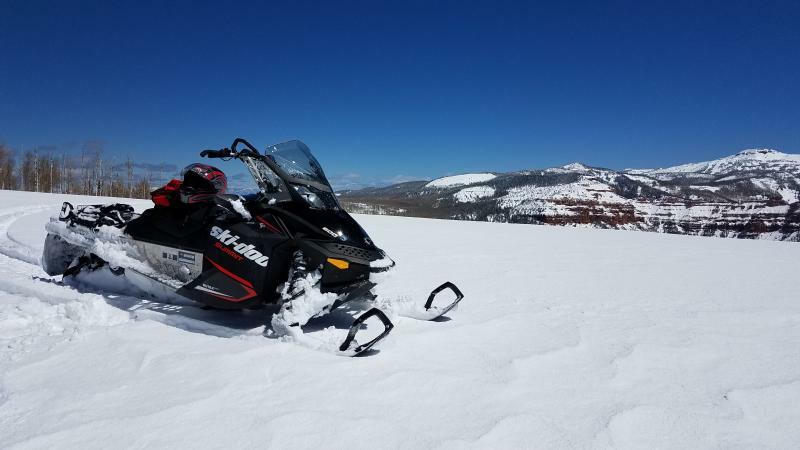 Snowmobile Forum: Your #1 Snowmobile Forum > General Discussion Forums > General Sled Chat > Still have snow? 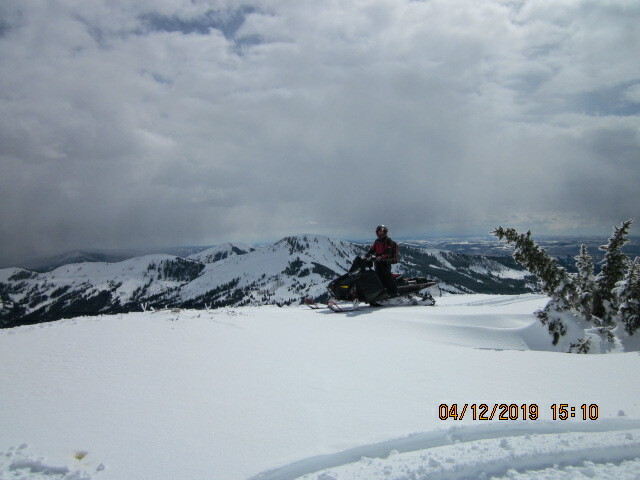 Plenty of snow up in the mountains still, guessing there'll still be rideable stuff into June if you go up high enough. Unfortunately, the good stuff is gone. I was up last week, and it was wet mush for the most part. Still fun, just not magical like a foot of fresh powder. I thought my riding season was over a few weeks ago. Had a storm go through Southern UT on Wednesday. There was a foot of snow at 10,000 feet but at 8,000 there was only an inch. I went up yesterday for the last ride of the season. Was able to get in a little over 100 miles. Nice way to end the season!! We still have good snow at higher elevations, as well, but the trails lower are becoming increasingly bare. Our grooming is pretty much done for the year. Time to put the kittys away for the summer! Believe it or not Here in North Central Illinois we have 5" and still snowing! Dang I will have to go move snow with Bob Cat the Middle of April! The winter just keeps on keeping on! We got hit with around 14 inches on weds night through friday morning but it is mostly gone already. No one got out and did any riding not with the temps 40 degrees or so since late thurs night. Was out this past Friday in SE Idaho. Had 4 inches of new snow on a 7 foot base. Great ride, very few riders (2) that we saw and beautiful views. I'm hoping to get at least one more ride in this season, I hear there's a foot or so of good snow on plenty of base up in the Beartooths. There have been a couple systems come through, and while I don't think any of them have made any major dumps, it's been on and off snow for at least a week up high. There's been some snow down here too, and it's raining, so hopefully that means more snow up there. Anyway, I know what Dan is talking about with the "hero" snow. The problem I find is if it's really crusty, my track is too soft to keep digging in. Last time I rode I went to climb a slope (it looked easy from a distance) and gave up after a couple tries. Between getting thrown around by set up drifts and the track constantly skipping and spinning, I was afraid I'd get bounced off and have to watch my sled take a death tumble. On softer, slushy snow though, I've climbed everything I had the courage to try. Nothing beats that perfect foot or two of fresh powder on a good base, but as long as it's snow!